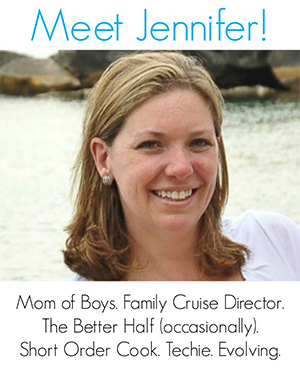 If you have an adventurous child, you’re probably more than familiar with pirates! 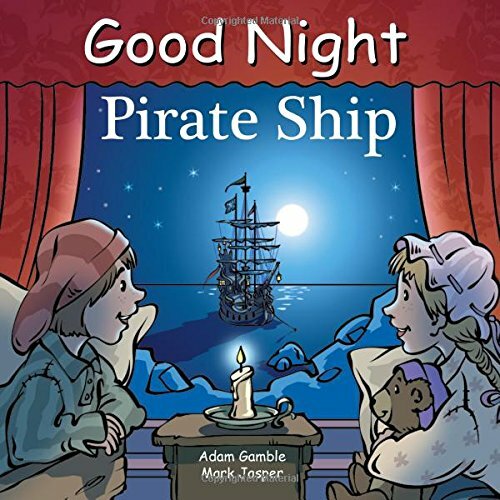 Before you surrender to that Jolly Roger flag, cuddle up for some venturesome reading with these pirate board books for toddlers and preschoolers. 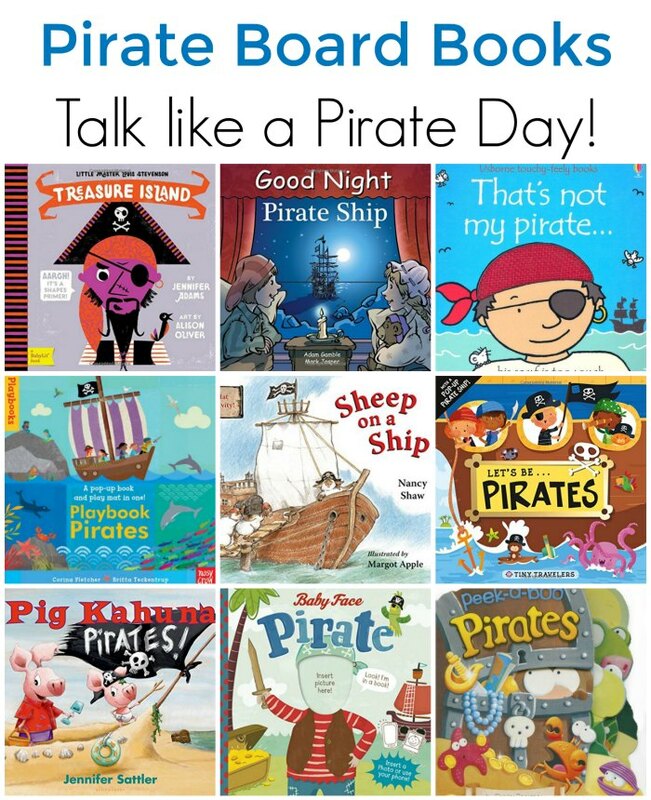 Gear up for Talk Like a Pirate Day, which happens every Sept. 19! I’m joining other fun bloggers to create a host of great pirate activities for kids to enjoy the day… but they’re great all year long, too. 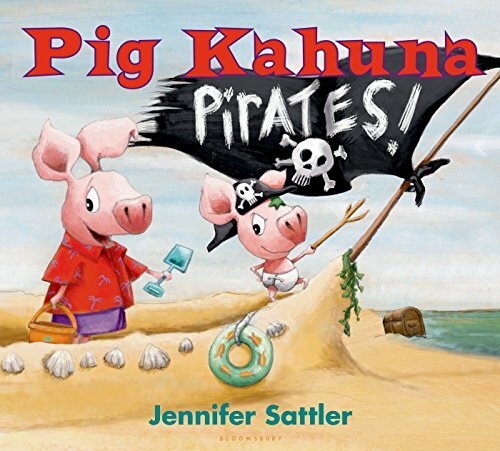 Find these pirate board books for toddlers and preschoolers at your local library or purchase through the affiliate links provided for your convenience. Being the mom of boys, pirates have an ongoing theme in our house. What is it about pirates? I think my boys secretly like that pirates seem rebellious, bending the rules and living free on the oceans. As long as my “pirates” were able to come home at night, they loved the idea of the exciting lifestyle. 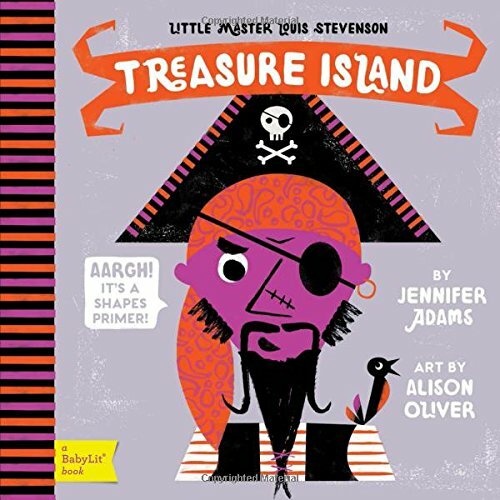 Treasure Island: A BabyLit® Shapes Primer (BabyLit Books): Ahoy, me hearties! Join Jim Hawkins as he sails the open seas searching for treasure and learning shapes along the way in Treasure Island: A BabyLit Shapes Primer. Spy the OVAL of Long John Silver’s eye patch, the TRIANGLES in the sails of The Hispaniola, and the CROSS that marks the spot of lots o’treasure! But watch your back because dead men tell no tales. 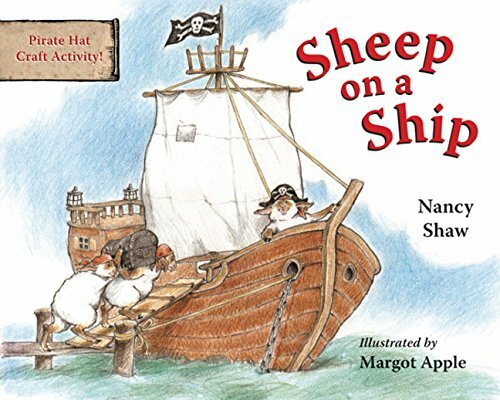 Sheep on a Ship board book: The rhyming misadventures of a group of zany sheep on a pirate ship. Good Night Pirate Ship: Arrrr! Come plunder the seas with swashbuckling pirates in search of riches. This book explores the exciting life of pirates, including treasure chests, pieces of 8, gold doubloons, pirate flags, cannons and cannon balls, swords, spyglasses, Spanish forts, pirate clothing, pirate foods, the Caribbean, Royal British Navy, and more. 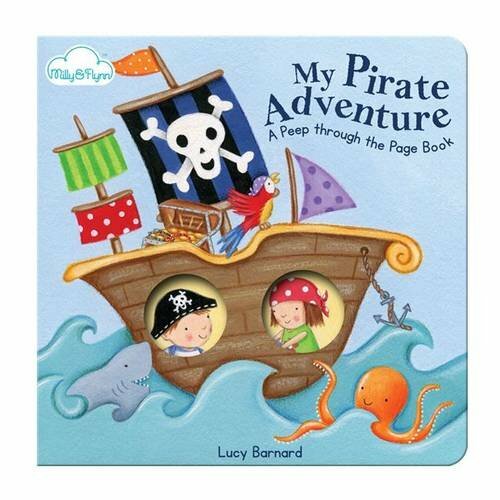 My Pirate Adventure (A “Peep-through-the-page” Board Book): These brilliant board books allow the child’s active imagination to take them on an amazing journey by going through the shaped windows in the book.If you were a pirate for one day, what would you do? Join our little hero and his sister, and share in their action packed day. Peep through the windows in the story to see what’s coming next! 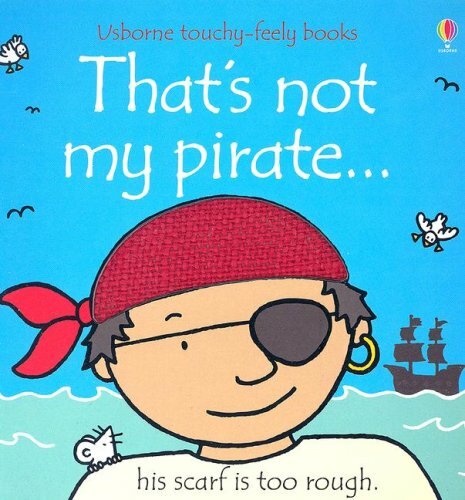 That’s Not My Pirate…(Usborne Touchy-Feely Books): A touchy-feely board book with simple, repetitive text, tactile patches and bold illustrations suitable for babies and toddlers. A little white mouse appears on every page, for children to spot. 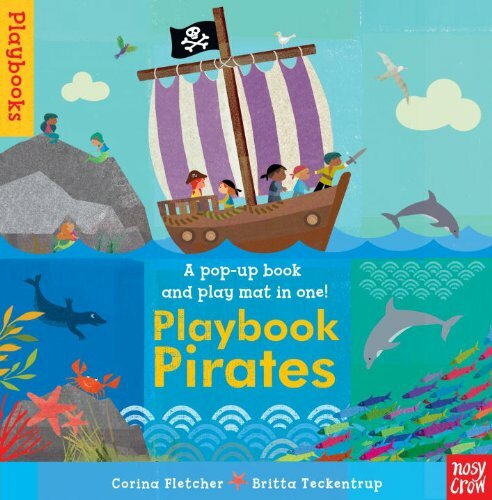 Playbook Pirates: A book that is also a play mat! The perfect novelty package for preschoolers and toddlers alike. The pop-up storybook unfolds and transforms into a 3-D seascape play mat, revealing a pop-up pirate ship, mermaid island, and shipwreck. There are also press-out pirate characters, rowing boats, and sea creatures — everything you need for a sensational swashbuckling adventure! 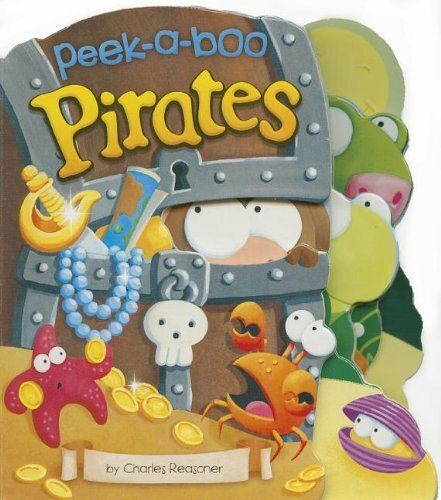 Peek-a-Boo Pirates (Charles Reasoner Peek-a-Boo Books): Ahoy! Pirates are on the loose, hiding behind die-cut windows in this board book by Charles Reasoner. Find out what they are all up to as you read the simple verse and reveal who is hiding on each page. 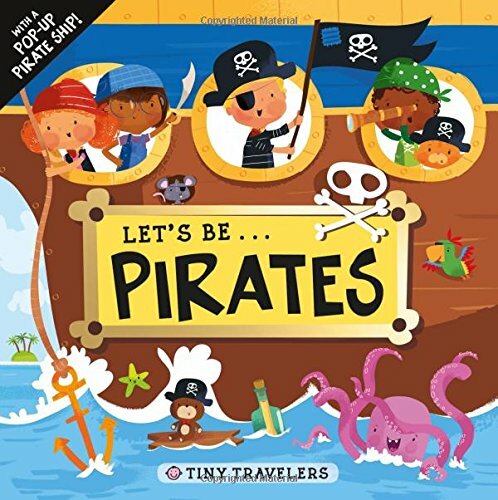 Tiny Travelers: Let’s Be… Pirates: Let’s go on an adventure with Tiny Travelers Jack, Ella, Noah, Izzy, and their cat, Lucky, as they set sail on the high seas to find the buried treasure! Your own tiny traveler will love to join them on their journey, and follow the clues to find the treasure in this amazing interactive book. There’s a letter to read outlining their quest, a fold-out treasure map, a fabulous pop-up pirate ship, and more to inspire imagination and encourage creative play in all would-be pirates. Pirate (Baby Face): Ahoy, matey! Jump on board as your baby takes center stage in this pirate adventure! Just grab your favorite photo and insert it into the back of the board book. 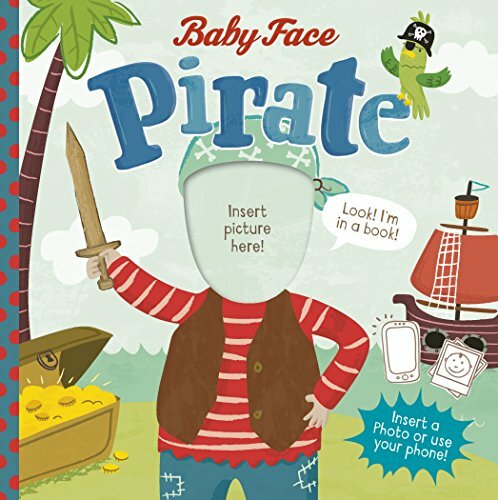 The colorful illustrations and rhyming text mixed with your baby’s photo will keep your little pirate smiling from ear to ear. Like these pirate board books? Find even more engaging book lists for kids with more than 100 book-themed reading lists! There appears to be number of pirates out there that also need potty training. 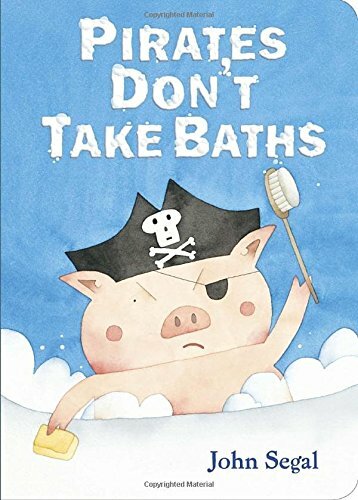 While researching this reading list, I came across a some of these great pirate potty training books… and I just had to share them! Even Pirates Poo! 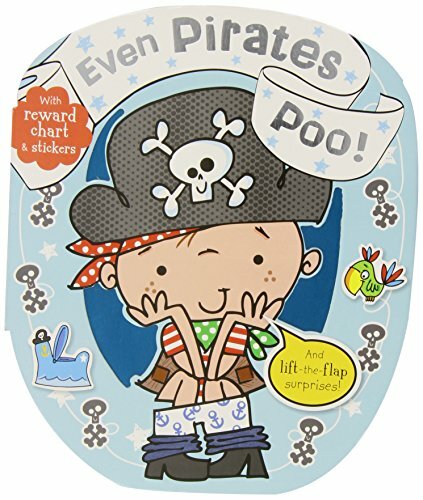 (Potty Training Books): Even Pirates Poop is a charming, witty story of a pirate who is learning how to use the potty. At first, Pirate Pete doesn’t understand what potties are for… so he uses them in unusual ways! With a flap to lift on every page and a reward chart to track every little success, the stories will make children laugh and help them learn how to use their potties! 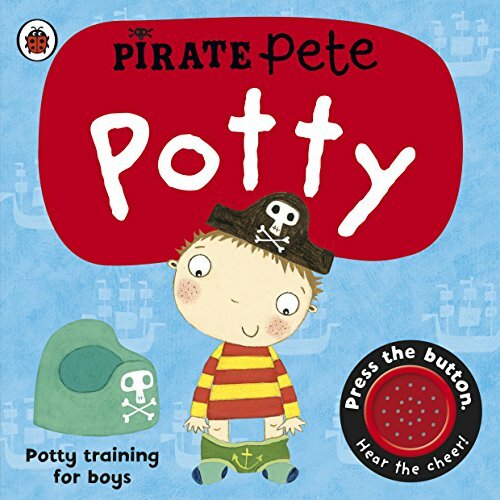 Pirate Pete’s Potty: Hilariously useful potty training from Ladybird Pirate Pete’s Potty: Potty Training for Boys is an entertaining picture book from Ladybird that helps parents struggling with potty training for boys aged 18+ months. Clear, informative and fun pictures are aimed at tackling the common anxieties that children may have about using the potty. Each page encourages parents and children to interact with the story by pressing the ‘cheer’ sound effect when the child has interacted correctly in order to eventually motivate their child into using the potty. Even pirates use the potty! Follow Pirate Pete on his potty training adventure and press the sound button to cheer him along! This book is perfect for helping boys feel confident and motivated about using the potty. Pirate Potty: A pirate-themed, toilet-training 8×8 that is fit for the littleswashbuckler in your life! Every pirate needs his captain’s chair and this 8×8 with a perfed captain’s hat and reward stickers is perfect for the little pirate learning to use the potty for the first time! 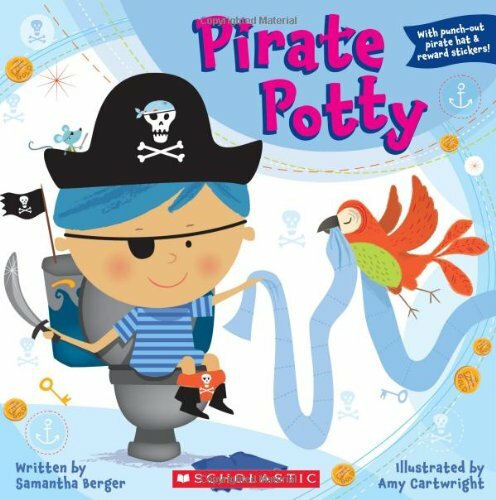 With a helpful, step-by-step story that introduces boys to the concept of toilet training, Pirate Potty is an adventurous lesson that everyone needs to learn.